In our age of divisiveness, World of Warcraft's Battle for Azeroth expansion begins with a premise that cuts deep. It's nasty stuff. Greed (and quite a bit of petty hate) led the Horde to burn the Night Elves' tree city a few weeks before launch, potentially killing thousands. 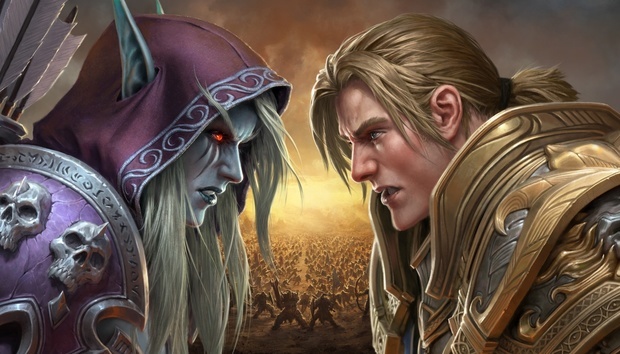 The Alliance sought revenge, leading to an assault on its old capital of Lordaeron. And all because a godlike figure thrust his gigantic sword into Azeroth itself, causing a powerful new substance called Azerite to erupt from its core through fissures and even small volcanoes, spread over the entire world. At a time when everyone should have been working together, suddenly everyone was at each other’s throats. Considering what the world had just gone through, the conflict seemed unnecessary. It was all a little too on-the-nose, leading some longtime Horde players to question the integrity of the Horde. Some claimed they wouldn't even play the expansion. But now, having experienced the new lands and stories encountered in Battle for Azeroth’s journey from levels 110 to 120, it’s hard to believe that was a thing. Players are happy. In the wake of that initial animosity, it appears more people than we’ve seen in years may be "coming home" to the game they’ve loved for over a decade. Judging from my personal circle, even a few new players are jumping on the wagon, drawn in part by the furor leading up to the launch. In a way, it proves we can get past hate and look forward. I suspect the expansion's story will ultimately move along the same lines. The menace is still there, of course, but it’s been supplanted by a leveling experience that whisks us away to two large islands: the troll kingdom of Zandalar for the Horde and the seafaring nation of Kul Tiras for the Alliance. Both factions are seeking help for the inevitable upcoming battle, but to do so they need to help clean up each island nation’s trash. Over in Kul Tiras, we find a bad case of infighting and shattered alliances. In Zandalar, the trolls are busy struggling with cultists and new stirrings of the Old Gods. Suffice it to say, there’s a lot that needs to be done before we can get back to strangling each other. We're not in Alterac anymore. And that’s a good thing. With the upcoming battle against the Horde and Alliance off in a future patch for now, Battle for Azeroth lets us see the everyday life of Blizzard’s fantasy world with an intimacy we haven’t seen in years. For the last couple of expansions, almost every zone’s storyline has been aimed toward thwarting some Great Cataclysmic Event, but Battle for Azeroth finds us ambling through piratey seaports (complete with tricorn hats) and helping brewers get their meadery under control with only slight thoughts directed at recent atrocities. It’s sometimes easy to forget there’s a greater conflict awaiting. In that sense, it reminds me of World of Warcraft’s opening months, when the raids of the future lay months in the distance and we forged our best memories. Only now it's complemented with the voiced interactions and beautiful cutscenes that deliver a cinematic feel that was long absent. World of Warcraft has clearly been taking some storytelling cues from the likes of Final Fantasy XIV, and it’s better for it. But there’s now more freedom, too. 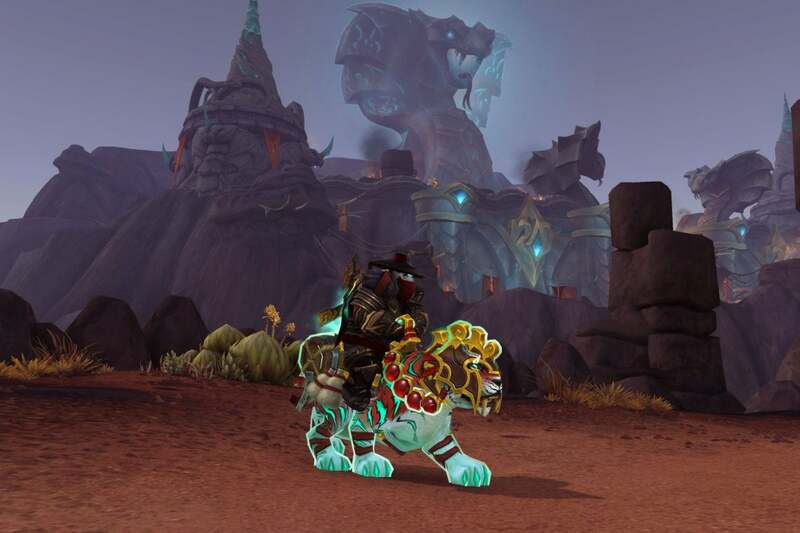 As in Legion, you can tackle any of your faction’s three zones in any order you wish, but you can also undertake “foothold” missions that send you off into enemy territory. In the process, you ultimately get six zones to quest through once Kul Tiras and Zandalar both open. What initially looks like a relatively small expansion in terms of content thus turns out to be gigantic, and Battle for Azeroth in turn allows for more variety in the world quests that make up much of the existing game. Welcome, too, is the new “War Mode,” which you can activate only in the faction capitals of Stormwind and Orgrimmar. Flip it on, and you’re tossed in a player-versus-player (PvP) version of your own server—and indeed, PvP servers no longer exist as we once knew them—granting perks like 10 percent XP boosts and loot crates that fall from the sky much as in the style of PlayerUnknown’s Battlegrounds. 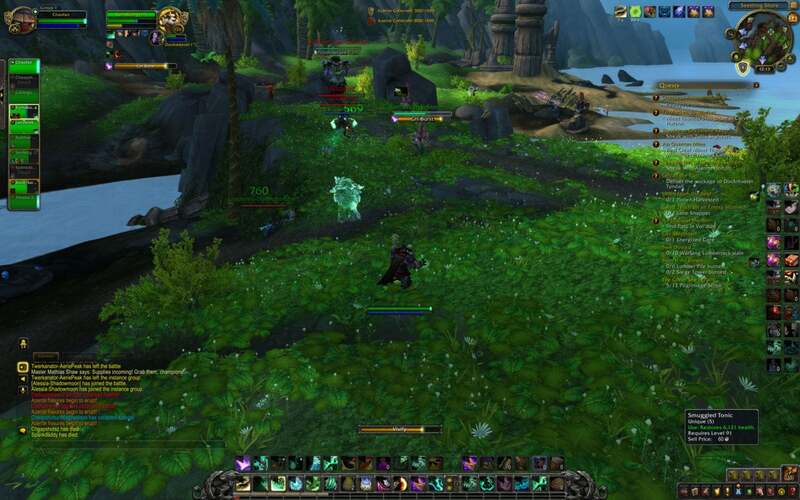 Kill enough other players in War Mode, and you’ll be marked as an Assassin on the map, which entices members of the opposing faction to hunt you down for a reward. It adds a bit of extra excitement when you want it, and I found that it encourages cooperation between players. When you’re actively questing with a bunch of folks who want to PvP, it makes world PvP engaging in ways we haven’t seen since the glory days of Tarren Mill in 2005. And for that matter, the new zones are simply beautiful. Diverse and large, they range from deserts where gigantic serpent statues flick stationary tongues over salt flats to cliffside caverns carved in the likeness of a Kraken. Much like Legion's Suramar, the Alliance city of Boralus is one of the best cities ever seen in the game. The vistas are worthy of desktop wallpapers. Even the human characters come in new shapes and sizes, meaning you'll now see overweight bartenders lounging around in boredom rather than with their arms mechanically at their sides. The music is best that’s ever come out of Blizzard’s world. In terms of story and aesthetics, Battle for Azeroth represents some of Blizzard’s best work. So it’s a bit of a pity that the new “Heart of Azeroth” necklace players get at the beginning feels a bit lackluster compared to the upgradeable artifact weapons players had in Legion. 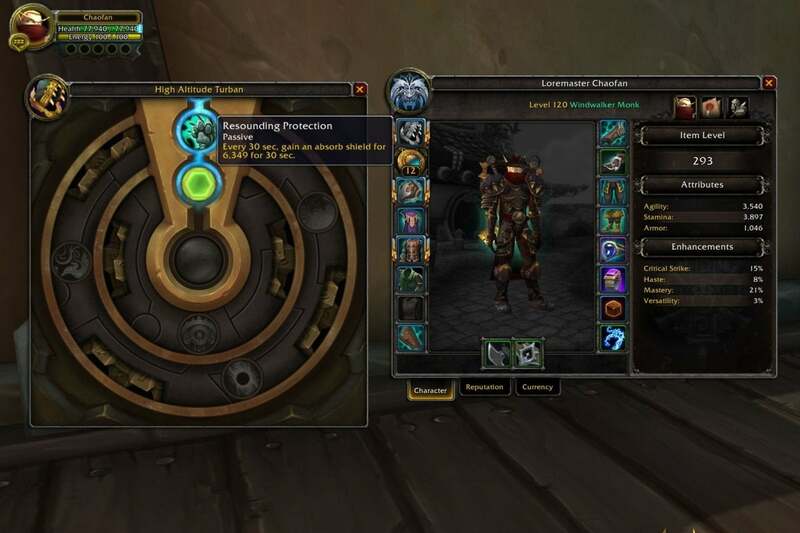 As with artifact weapons, you have to pump a resource you constantly farm into the heart—in this case, Azerite itself—but you see its effects only in the multiple pieces of Azerite-based gear that drop, which unlock new passive abilities through a series of rings for each pieces depending on the level of Azerite in your neckpiece. That means they grant you no new awesome active abilities, as artifact weapons did in Legion; in fact, Battle for Azeroth doesn’t introduces any new abilities at all. (Some classes, like Demon Hunters, seem to suffer from the loss of artifact abilities more than others.) At the moment, at least, there also aren’t any achievements for getting new skins for Azerite gear. It’s a shame, as I genuinely loved showing off my artifact weapons in Legion. Here, I generally couldn’t care less about showing off my Azerite armor. That’ll likely change once future patches and raids drop with better gear and better unlocks, but right now it seems like a step backward. Better abilities will unlock with better gear, but the abilities change slightly with each piece. The scrounging for Azerite lies at the very heart of the expansion. It goes far beyond collecting bits of the stuff from world quests and treasure chests and pumping it into your necklace. It’s about watching enemies in dungeons grow more powerful because they’ve coasted in their weapons. It’s the centerpiece of the new Seething Shore player-versus-player battleground, which sees you and your teammates racing to mine as much Azerite as possible while trying to keep the opposite faction from mining your skull. (It’s also fairly chaotic compared to previous battlegrounds.) For that matter, it’s also the subject of the new Expeditions, which ship you off along with two other players to a randomized island to mine Azerite while you fight either real players or AI designed to act like them. I first found Expeditions kind of dull. The trainer mission dumps you on an island on which there’s nothing but a bunch of monkey-like Hozen and some scattered Azerite deposits. You’re simply supposed to either mine as much as you can or beat it out of the locals. And then you run back to the ship. Yawn. But they quickly grow more interesting once new enemies are introduced, right down to fire elementals burning through the countryside. And of course there’s the ever-present threat of getting knocked around by members of the opposing faction. It’s kind of like a shorthand form of the Seething Shore battleground—if a bit more relaxed. I’ve come to appreciate it as a flawed, but welcome secondary activity on top of the usual quests and dungeons. In another nod to PlayerUnknown's Battleground/Fortnite, you parachute down to the Seething Shore. As for the dungeons themselves, Blizzard delivers a wide variety, ranging from one where you rough up pirates in a seaside shantytown to one where you break into a prison and cross swords with the warden. As always, they balance the goofy with the somber. You’ll go from attempting to catch a greased pig to confronting sorcerers gone bad. In their “feel,” they’re as wonderful as the quest-focused storylines that lead up to each of them. But they also occasionally slip a little too dangerously toward tedium. Blizzard apparently finally caught on that most random groups of players try to rush through dungeons as fast as possible these days—amassing enemies in a clump and burning them down—and so now, apparently, Blizzard has emphasized that tendency in the design of the new dungeons. I'm not convinced it was a smart decision. The upshot is that virtually every dungeon is filled with a surfeit of “trash” mobs compared to the dungeons before it. One—the lengthy Horde-side The MOTHERLODE!! (yes, the caps are in the original)—has so many goblins waddling around that you can barely shake a sword without smacking one. I try to avoid hyperbole, but this literally might be Blizzard’s worst dungeon to date. Maybe Blizzard thought this kind of density equated with thrilling action, but in practice it’s simply boring. Toss in the stuns and polymorphs dished out by the enemies, and it’s also annoying. It never seems to end. I shudder to think of what it’s like on the harder Mythic difficulty. That’s roughly Battle for Azeroth as it currently stands, along with some welcome minor tweaks like shared, private chat channels for unguilded friends or a redesign of professions so you can start crafting current content without leveling everything from WoW’s past. It’s meaty already, but if the Legion expansion was any indication, what we’re seeing now is only the beginning. The battle between the Alliance and the Horde might eventually whisk us off to a whole new land, much as we flitted off to the distant world of Argus in Legion. Azerite gear will likely get more powerful, much as we saw with artifact weapons. And if all goes well, the story will continue to leave us with strong emotions (much as some of the main storylines do here), which proves the durability and power of Blizzard’s derivative yet strangely appealing universe. Yes, Battle for Azeroth follows many of the same patterns we saw in Legion, but in some respects it feels like a minor reboot. 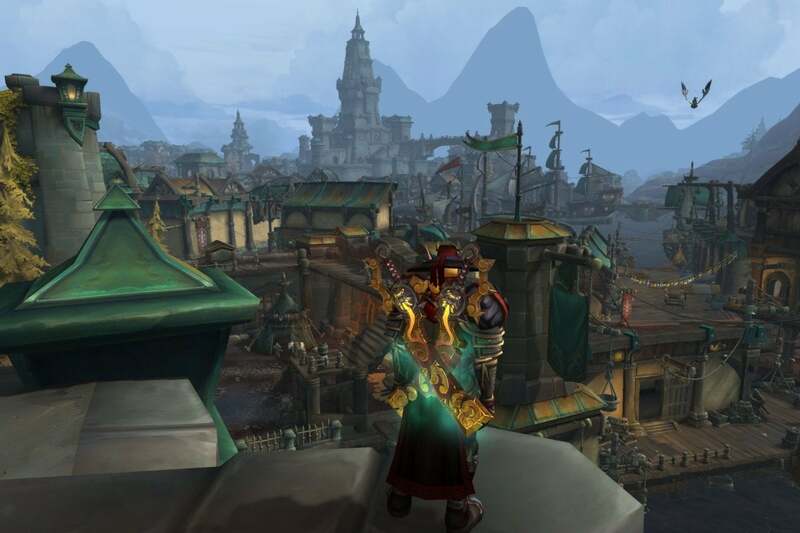 It reminds us that Azeroth alone is a powerful reason to visit, much as it was in earlier years, when WoW wasn’t quite as focused on a major endgame baddy. The complications with the Azerite gear and the occasional tedious dungeons prove it’s not perfect, but there’s such a wealth of things to do here that the rough spots never detract from the whole. Though technically a dump by the standards of Azeroth, Boralus is one of the most satisfying cities in all of WoW. It’s even inspiring, in some ways. 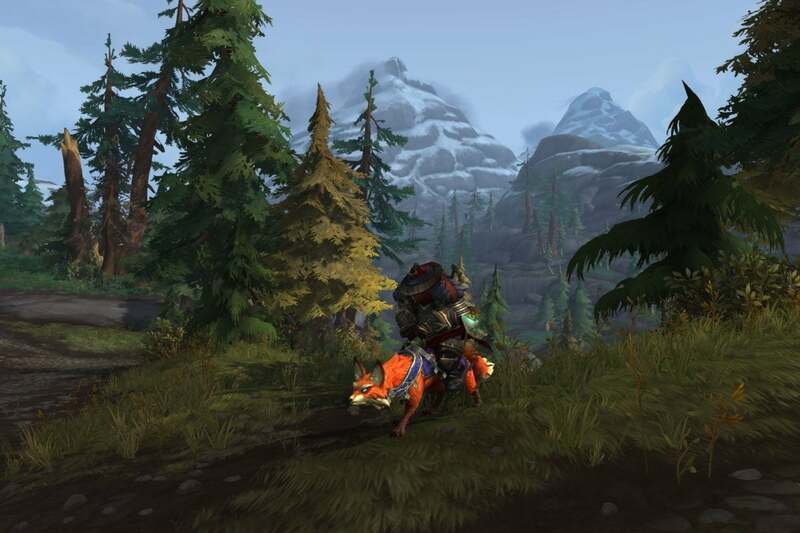 For all the polish and all the new activities, World of Warcraft is still the same game of countless kill-and-fetch quests, raids, and dungeons that it ever was. Even so, Blizzard has continued to adapt to changing tastes and graphical advances. It’s essentially one of only three or four major MMORPGs still standing. As the millions of people still streaming into the game show, if Blizzard sees Battle for Azeroth as a struggle to keep our hearts and interest, it’s clearly already won.